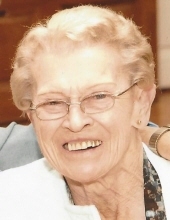 Marjorie Hall, 79, of Morton passed away Wednesday, January 23, 2019 at UnityPoint Health Methodist in Peoria. She was born March 13, 1939 in Wayne County, IL to Harold and Claribelle Hosselton Davis. She married William Hall October 26, 1957; he preceded her in death February 2, 2018. She is survived by her children, Dale (Ellen) Hall of Morton, Denise Hall of East Peoria, David Hall of Deer Creek, Dennis Hall of East Peoria; granddaughters, Audrey Walling, Allison Wilson and two great-grandsons. Marjorie was a homemaker and retired hairdresser. William and Marjorie were avid Peoria Rivermen Hockey fans. Marjorie enjoyed needlepoint, gardening, and canning. She enjoyed watching Hummingbirds in her backyard and loved to spend time with her granddaughters and great-grandsons. She was a lifetime member of the Morton Chapter Weight Watchers. Cremation has been accorded and a memorial service will be held at 2 p.m. on Saturday, February 2, 2019 at the Morton United Methodist Church, 420 N. Tennessee Ave, Morton, IL 61550. Memorials may be made to the American Cancer Society in her name. To send flowers or a remembrance gift to the family of Marjorie Hall, please visit our Tribute Store. "Email Address" would like to share the life celebration of Marjorie Hall. Click on the "link" to go to share a favorite memory or leave a condolence message for the family.